You may never be able to quite bend it like Beckham, but you can now style yourself with the same high-quality formulas as the former England captain. 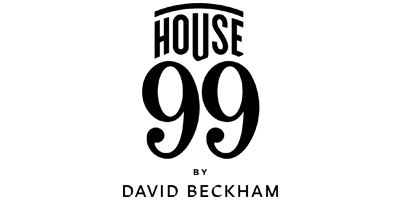 Operating under the strong conviction that grooming isn’t so much about the aesthetics as how it makes you feel inside, House 99 allows the modern man to shape his next look with confidence and flair. Every time David goes to the barber, they’re just waiting for him to ask for something different and original. It’s that sense of possibility and pleasant surprise that the technicians behind this brand have been so keen to bring to at-home grooming. Formulated with the aid of expert barbers, each and every one of the brand’s products is quality tested for maximum efficiency. The ingredient list, meanwhile, is largely orientated around two of David’s long-time favourites: quinoa and spirulina. For years, these super ingredients helped him to maintain a competitive edge; today they enable him and every other member of the House 99 community to maintain impeccably healthy skin and hair. That sense of community is important, and evident in the ‘House’ part of the name. As for the 99? It refers to the year, one in which David got married, won the champions league and saw the birth of his eldest son. It’s the fusion of personal affection and proven efficiency that sets this new name in grooming apart from the crowd.